Junk food is everywhere: at school, at the ball field, at the mall — even at the dinner table. Today, more and more American children are suffering from conditions that were once reserved for adults: obesity, diabetes, coronary artery disease and hypertension. The primary cause is unhealthy eating. As a nutritional consultant and mother of three, author Gabrielle Welch offers easy, practical and fun ways for parents to educate and empower their kids (and themselves!) to eat right. 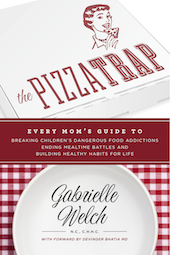 The Pizza Trap is a guide for every parent. 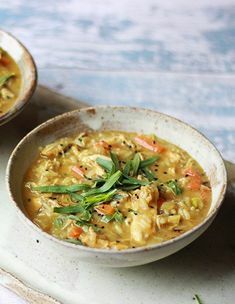 In the past couple of years, I have read several books about healthy eating and the importance of instilling healthy eating habits in your children. I appreciate the focus of each of the books, and many of them have encouraged me to make positive changes in what we eat and buy at the store. And I honestly believe that this book does much of the same thing in a readable style. There are recipes, quick tips, and plenty of sources to support the claims of this book. The fact that it is readable and relatable is an added bonus. My only complaint with books like this is that they are biased. I am not saying that is a bad thing. I essentially believe that everything within the book is correct and beneficial. I can say that it is a bit overwhelming for parents, and I am grateful that the author stresses making changes a little at a time. I am not discounting any of the sources or studies that are referenced within this book, but I do prefer reading information on both sides. It is incredibly difficult to remain fair and balanced when discussing this issue, but I do know that I have heard some conflicting reports about some of the things factually stated within the book. My favorite thing about this book is that the hypocrisy of the government is explicated in full concerning the issue of healthy eating. I have grown tired of this double standard that politicians take on this issue, and we don’t hear enough about this in the news. This is an area where I feel the book is strongest, and its bias is no apparent. I was sent a copy of this book in exchange for my honest review. I was not financially compensated, and all opinions are 100 percent mine.